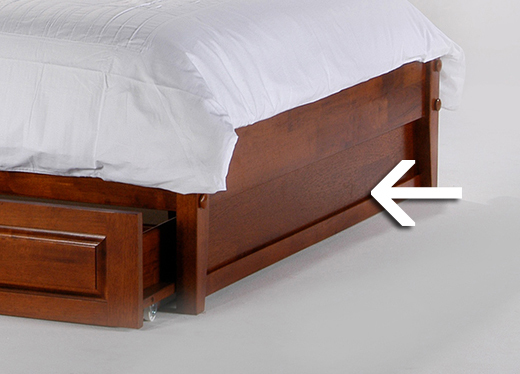 The Foootboard Panel provides the foot of your bed a clean and finished look, hiding the side of the drawers from view. The panel is practically essential as a supplement to the storage drawers underneath. � Available in cherry, natural, java, and white finishes. We ship your footboard panel via UPS Ground with tracking. Most orders ship out within 24-48 hours.